Today’s recipe is that of a cutlet my mother made recently. 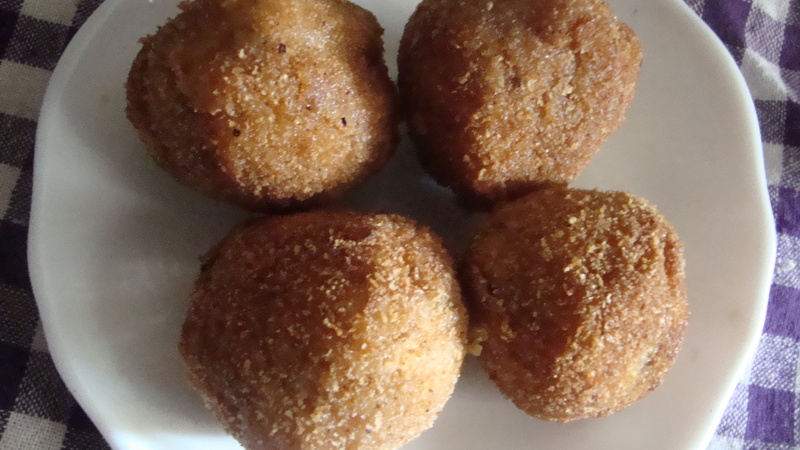 She likes experimenting with her cutlet mixtures and this time, she tried jackfruit and the result was delicious. Boil the jackfruit with salt for about 15 to 20 mins. Chop it and then coarsely grind it to get about ½ cup of the ground, cooked jackfruit. Transfer to a mixing bowl. Add the finely chopped onion, garlic, ginger, chillies as well as the pepper and fennel seeds to the mixing bowl. Mix well. Divide the seasoned jackfruit mixture into four balls. Make a light batter by mixing ½ cup of water with some multi-purpose flour. Dip the cutlet balls in the batter and then roll in the breadcrumbs, before deep-frying till the cutlets are golden brown. Today’s recipe is that of a simple potato curry that is easy and quick to prepare when you are not in the mood for preparing something elaborate. What’s more, you are sure to like the results. For those who do not like their curries dry, check out the other potato curry recipe. Potato curry – the drier version. Boil the potatoes. After the potatoes are boiled, peel and chop them into smaller pieces. Mix in the curry powder and some salt and keep aside. Clean and chop the onions. Sprinkle with salt. Heat 3 tbsp oil in a pan and fry the chopped onion for about 5 to 10 mins. Once the onions starts changing colour and the aroma wafts about, add the seasoned, boiled potatoes to the pan and mix well. Cook for another 5 mins. Serve warm with roti or pittu. 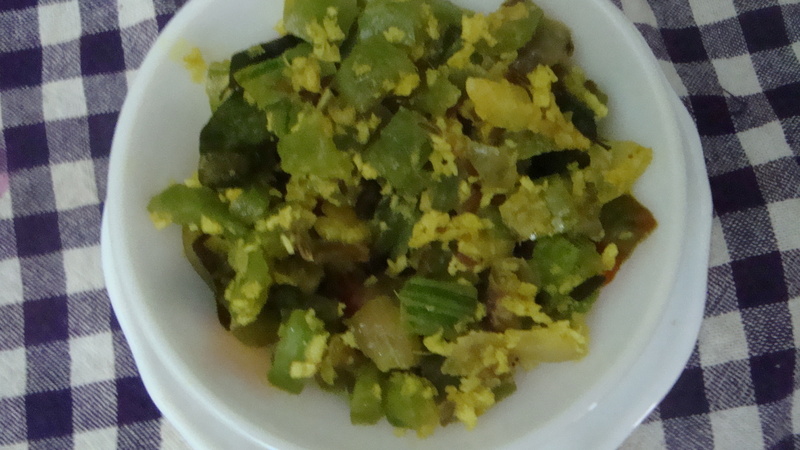 Today’s recipe is another snake gourd curry that my mother occasionally makes. Clean the snake gourd and finely chop it. Heat the oil in a pan and fry the chopped onion, green chillies, fennel seeds for a minute before adding the finely chopped snake gourd, curry leaves and rampe leaf. Cook for about 5 mins over low heat. Rinse the dhal and add the dhal to the pan. 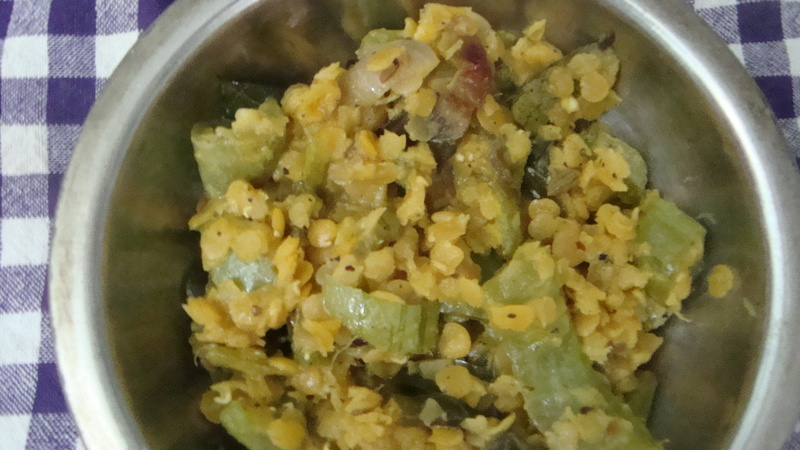 Stir and add a cup of water and let the dhal and snake gourd cook. Once the water has almost dried up and the vegetables have been cooked, add coconut milk. If you do not wish to use coconut milk due to cholesterol issues, simply add a ¼ cup of water or any alternative non-dairy milk of preference instead. Add the turmeric powder, crushed chillies, pepper and salt to taste to the pan. Mix well and cook for about 5 mins. I have always been quite fond of pudalangai/ snake gourd (scientific name: trichosanthes cucumerina). While it is cooked in different ways, my favourite is pudalangai kulambu – the recipe of which I will share when my mother cooks it. 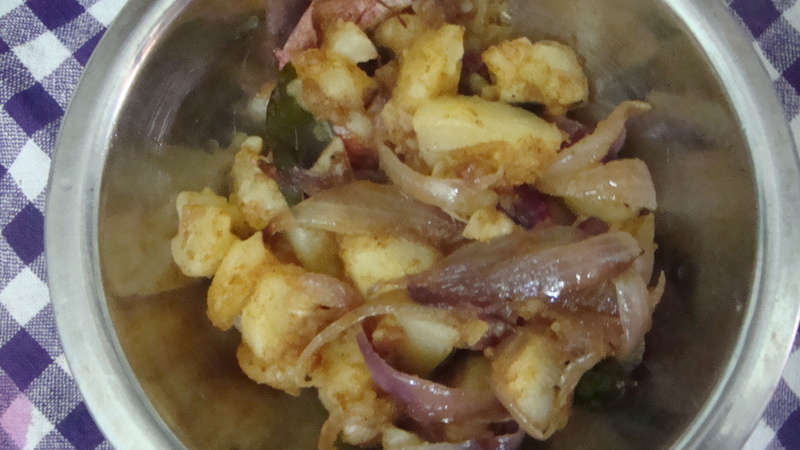 In the meantime, here is my mother’s recipe for fried snake gourd. Clean the snake gourd and chop it up finely. Mix some salt and keep aside. Heat a tbsp oil in a pan and fry the chopped red chillies, onion, fennel seeds and curry leaves for 2 mins. Add the finely chopped and salted snake gourd to the pan and continue stir-frying for 5 mins. Add 1 cup of water and season with salt to the pan. Cover and let the snake gourd cook till the water dries up. Remove the cover and add the crushed garlic, freshly scraped coconut and turmeric powder. Season with salt and pepper, as per your taste. Mix well and let it cook for 2 mins. 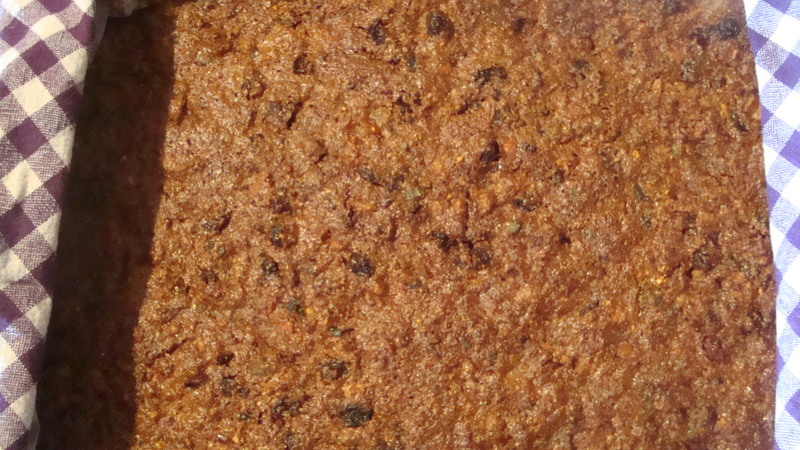 Last week, my mother decided to bake her special vegan christmas cake. While I was initially planning to share this recipe on the 25th, I am sharing it ahead at my mother’s request. 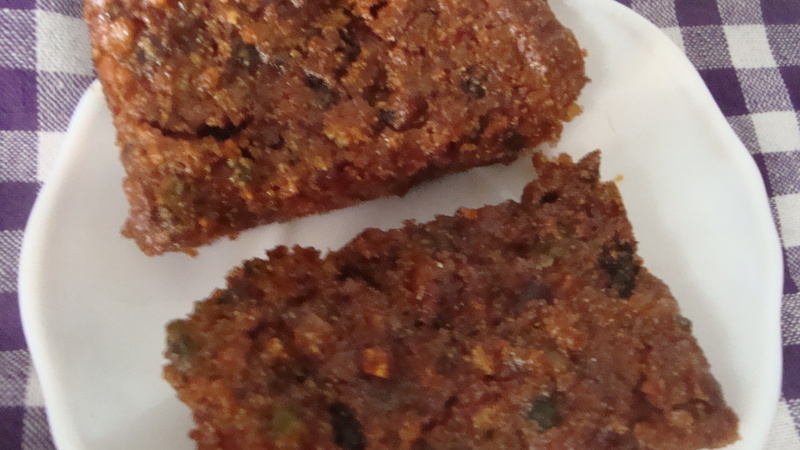 It is a delightful cake and I am sure you will enjoy it, if you do try it. Chop all the ingredients mentioned above (dates, raisins, cashewnuts, peanuts, almonds, chow chow, lemon rind, orange peel preserve, mixed peel, ginger preserve, cherries and puhul dosi/ pumpkin preserve) and mix together in a bowl. To the bowl, add the liquids stirring them in as you do so. Add the honey, caramel syrup and thick tea and let it soak for about ½ hour. Mix well before adding the vegetable oil and almond oil. Add the rose essence and cinnamon, cardamom and clove mixed spice to the bowl. Gradually stir in the semolina. Sift the flour with the baking powder and soda and add the flour mix to the bowl. Whisk the contents of the bowl together so that there are no flour lumps anywhere. Transfer the cake batter to the baking tray and bake at 120⁰C/248⁰F for 1 to 1 ½ hour till the cake is browned at the top and the cake is baked through. 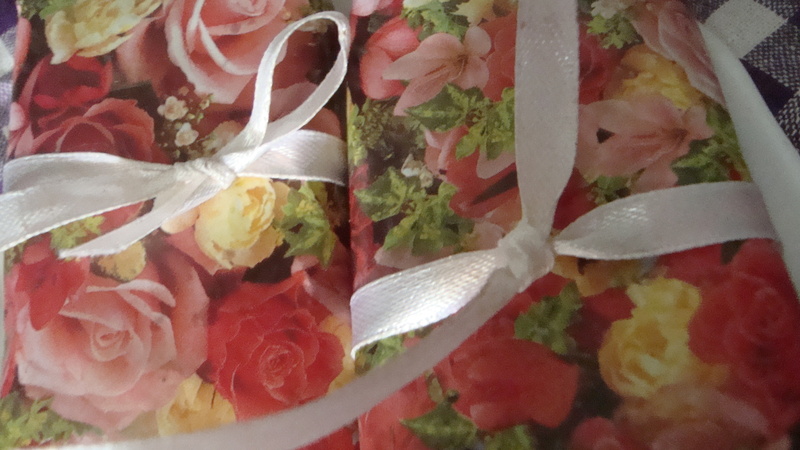 After the cake cools, cut the cake into pieces and wrap the pieces into Christmas wrappings.